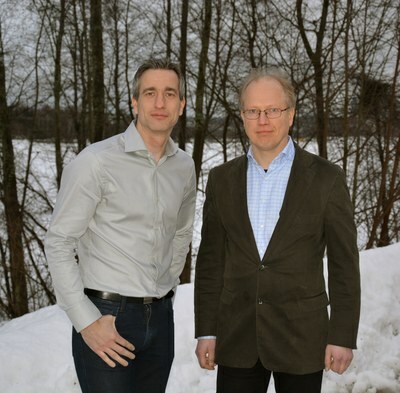 Two major research infrastructures in the University of Jyväskylä have appointed new leaders. Professor Paul Greenlees was nominated as the new head of the Accelerator Laboratory, replacing the previous head Prof. Ari Jokinen, who became the vice-dean of the Faculty of Mathematics and Science. In the Nanoscience Center, Academy Professor Hannu Häkkinen has completed his term as Scientific Director, and his successor is Professor Tero Heikkilä. These nationally unique research infrastructures are now aiming to further increase their cooperation. Common scientific interests can be found for example in materials characterization, cold atom trapping and imaging techniques ranging from nuclear to biological systems. The combined expertise and infrastructure of the two centers provides unique opportunities for a wide range of research programs, both in fundamental and applied science. Paul Greenlees has been a member of the Accelerator Laboratory team for almost twenty years, coming to Jyväskylä as a post-doctoral researcher from the University of Liverpool in 1998. He was recruited into the research group of Emeritus Professor Rauno Julin working on Nuclear Spectroscopy, a group that Paul has been leading since 2014. Paul is a former grant holder of the European Research Council ERC and was made a full Professor in 2013, playing a leading role in the Academy of Finland Centre of Excellence hosted at the laboratory from 2006-2011 and 2012-2017. “It is an honour and also a significant challenge to follow in the footsteps of our previous leaders, such as Matti Leino, Juha Äystö, Rauno Julin and Ari Jokinen, in running the Accelerator Laboratory. In their time, the Accelerator Laboratory has grown to be an internationally significant research infrastructure, with a profile unique in Finland,” says Paul. Tero Heikkilä became a Professor of condensed matter physics in Jyväskylä in 2013. Before that he worked for ten years in the Low Temperature Laboratory at Aalto University, leading the theoretical physics activities. Like Paul, he is also a former ERC grant holder, and has been a member of the Academy of Finland Center of Excellence on low-temperature physics from 2006-2017. He is leading one of the only few theoretical condensed matter physics groups in Finland. “I am excited and honoured to be appointed to lead the Nanoscience Center, succeeding some of the top Finnish scientists, Hannu Häkkinen, Jouko Korppi-Tommola, Matti Manninen, and Päivi Törmä”, he says. The Accelerator Laboratory is one of the largest and most international research infrastructures in Finland with typically over 200 visits by foreign researchers per year and a local staff of around 80 persons. Aside from fundamental science, the laboratory provides services to industrial and commercial partners and can list over 50 companies and organisations as users. 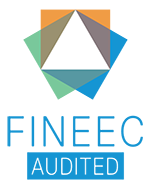 Nanoscience Center is the only nanoscience research center in Finland with cross-disciplinary activities in all three fields of natural sciences. It hosts almost 30 research groups and 16 professors with research interests in various areas of nanoscience.